The flow control valve is used to shut off the flow of gas from the well to let the plunger drop to the bottom hole bumper spring. After the desired time or pressure build up it will open to flow the plunger back to surface. 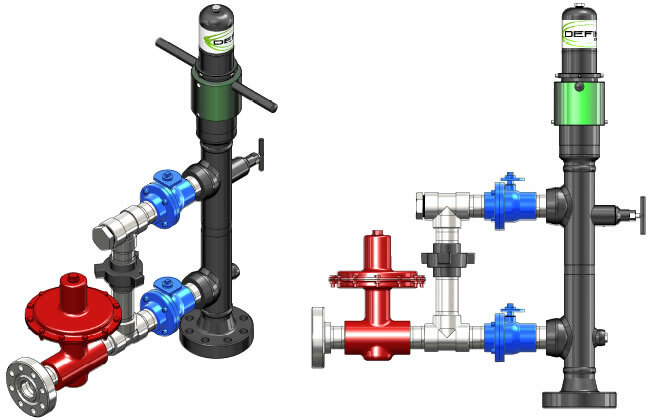 The valve is placed either in the well head piping or just downstream of the separator package, these valves are normally operated by fuel gas from the controller a signal is send from the controller to the solenoid to open or close the valve. The valves are design to be threaded or flanged and for different pressure ratings and are for sweet or sour wells.